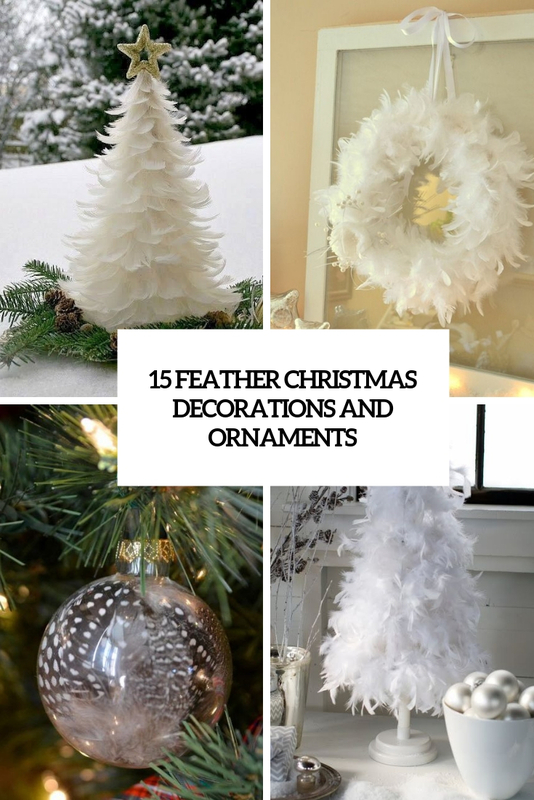 We’ve already shared some ideas of using various stuff for Christmas decorations: pinecones, fur, tassels, pompoms and so on but today I’d like to show you some more cute and cozying up ideas, and these are feather decorations. 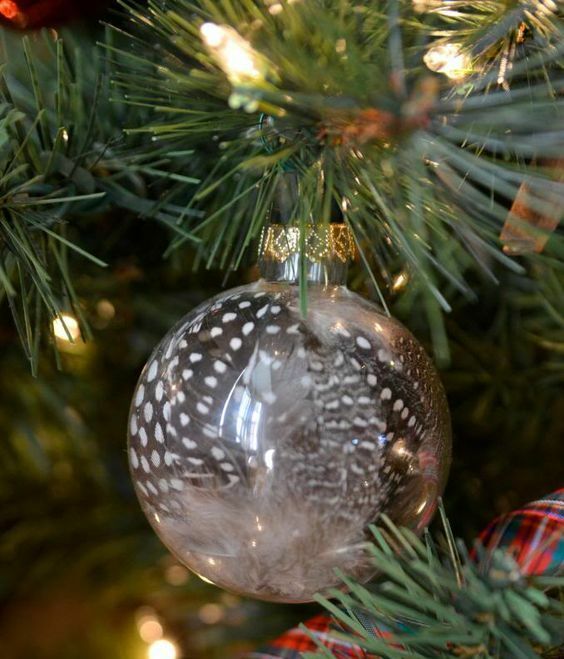 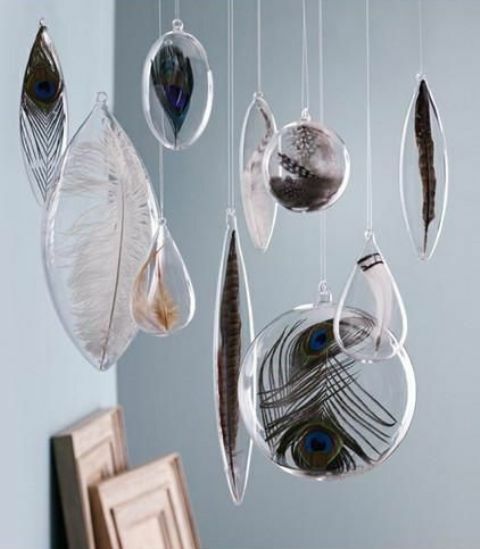 Buy some clear glass Christmas ornaments and fill them with various feathers of your choice – what can be easier than that? 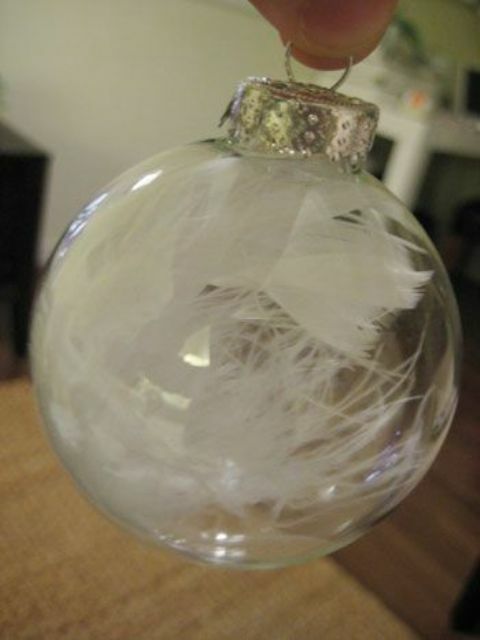 This way you’ll get non-banal and modern ornaments for your tree. 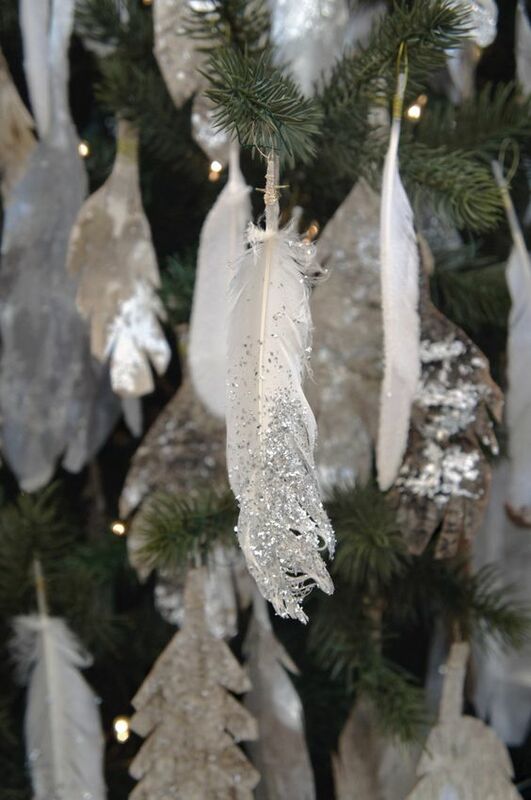 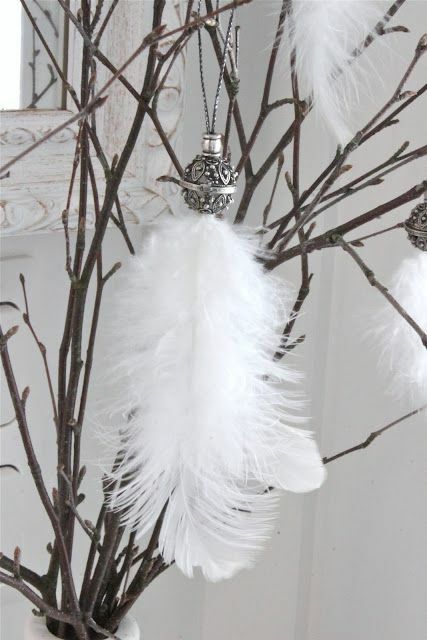 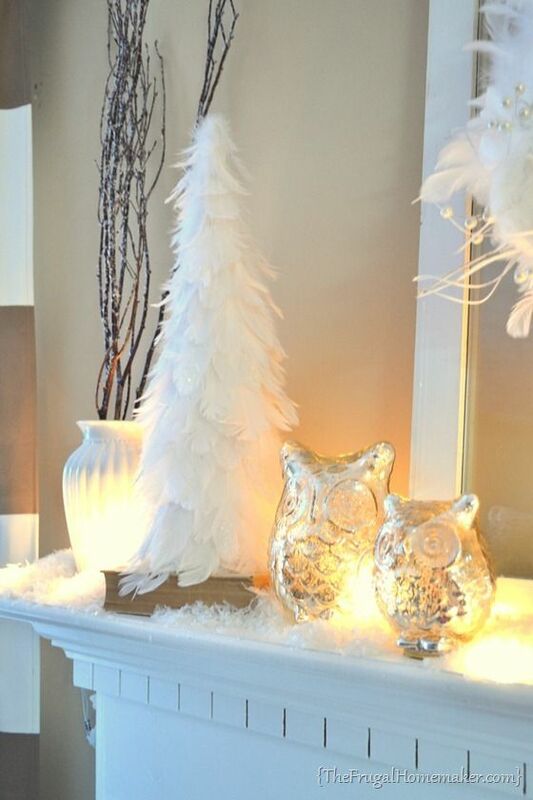 Another idea is to use feathers as ornaments themselves – dip them into glitter and attach a large bead for decor, and voila! 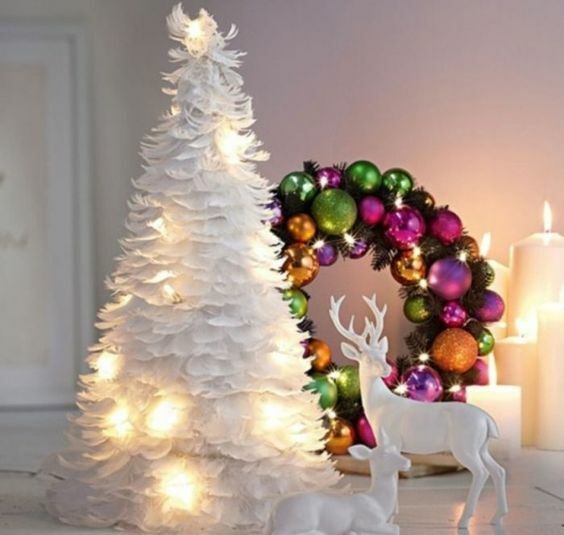 Making unique Christmas trees is always a good idea! 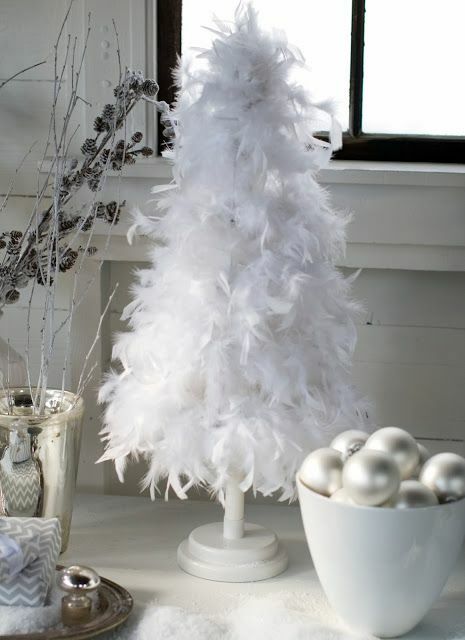 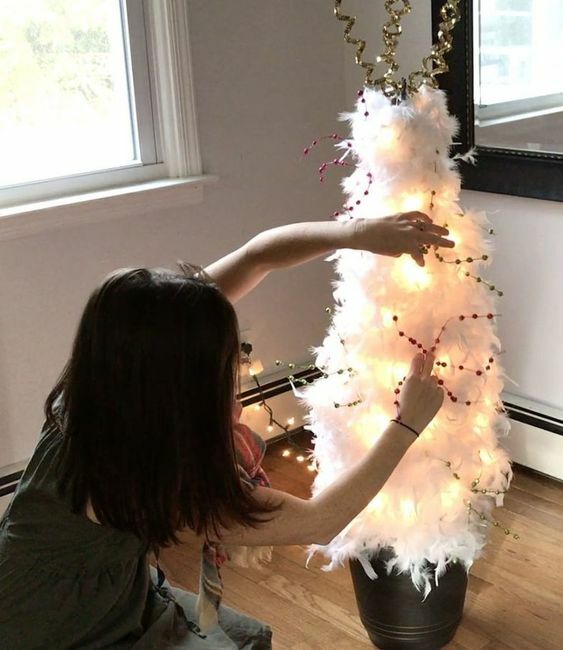 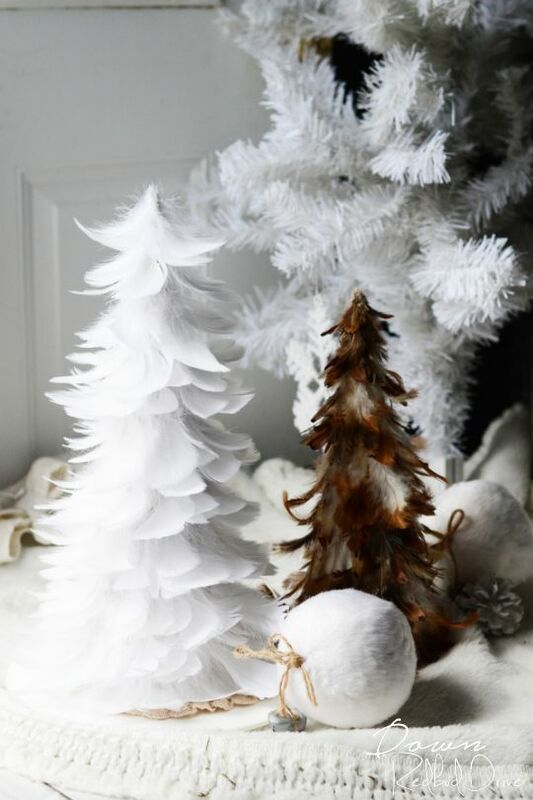 Make a couple of feathers – such pure white Christmas trees look heavenly and airy, though you can’t hang any ornaments, you may go for some lights. 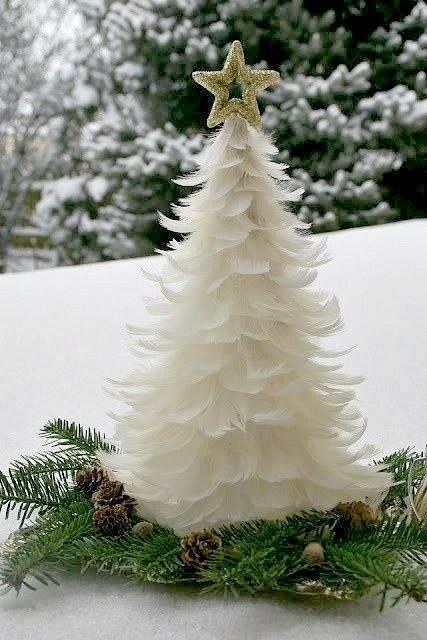 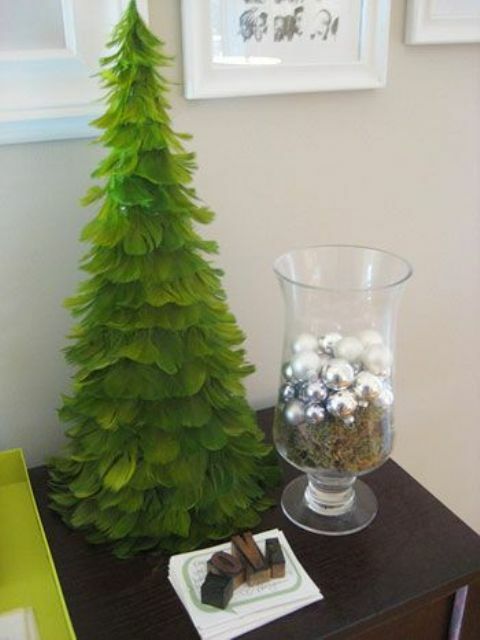 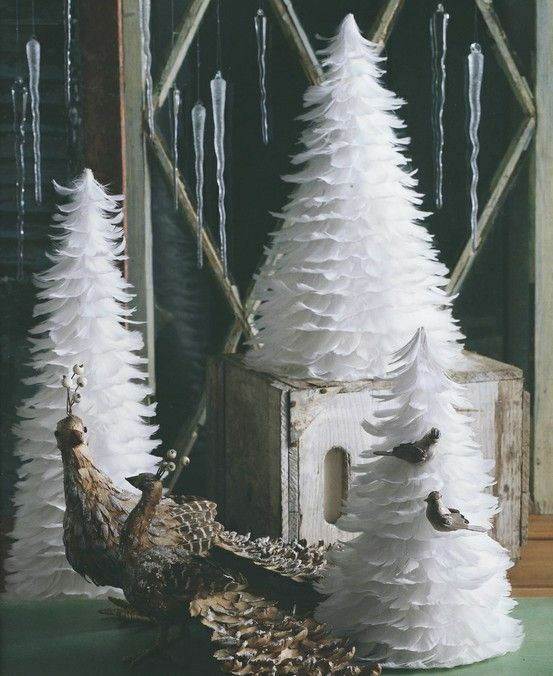 Another idea is painting your feathers before making a tree, so you’ll add a touch of color. 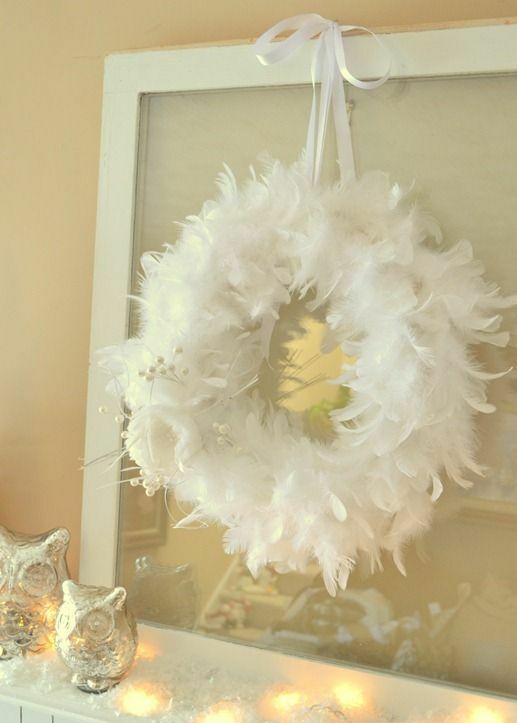 Feathers are cool for making fluffy and cute Christmas wreaths, all you need to do is to cover a wreath with feathers. 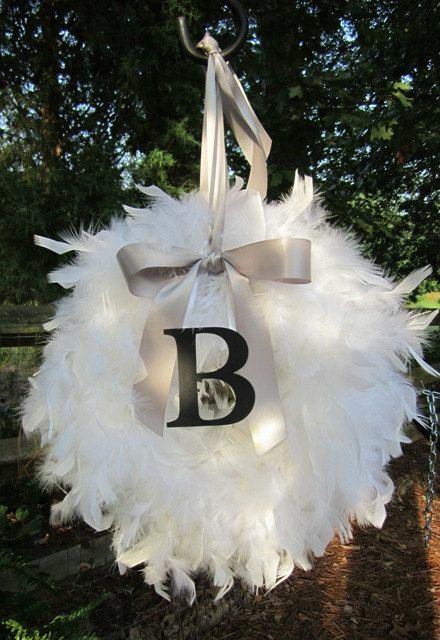 Add decor you like – beading, monograms and bows or any other elements and enjoy!